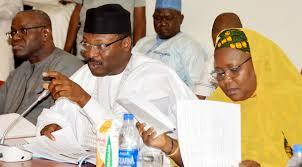 sympathetic to the ruling All Progressives Congress rather than being neutral in the Osun State governorship election. According to him, the handling of the Osun State governorship poll by the electoral umpire underscored the claim that some loyalists and relatives of President Buhari are occupying very high positions in INEC. INEC in the early hours of Friday declared the APC candidate, Alhaji Gboyega Oyetola, winner of the poll with 255,505 votes, ahead of the candidate of the opposition Peoples Democratic Party, Senator Ademola Adeleke, who recorded 255,023 votes. Adeleke had in the main election held on September 22 come top with 254,698 votes while Oyetola trailed him with 254,345 votes, but INEC declared the election inconclusive and called for a supplementary poll on September 27. In the supplementary poll, Oyetola garnered additional 1,160 votes to eventually overtake Adeleke, who polled only 325 votes in the rerun election. Adegboruwa, who said he monitored the rerun election from situation rooms of civil society organisations and on traditional and social media and also relied on reports from local and international observers, said the exercise had opened up the weaknesses of Nigeria’s electoral system, which needed to be fixed by the National Assembly. He said, “First, the election has shown that INEC is not independent. The influence of the ruling party on INEC cannot be overemphasised, especially as it has constantly been trumpeted that there are many loyalists and relatives of the President, occupying very high positions in INEC.